Instead of trying to collect everything at once, try asking for specific items or categories of items. This will allow you to be more specific with the preferred items you are seeking and more time to properly record and organize to sell. You may want to start with smaller items first then work up to larger items that require more space to store. Also, reach out to local stores that may donate surplus or off season items. Give your patrons another opportunity to support your cause. You can solicit a donation or two from your board or community for the raffle. You can also review your rummage sale donations for highly desired items that would bring in more funds in a raffle than being sold in the rummage sale. Strategically timing the raffle drawing may keep patrons at your sale and buying more. Some items like books sell better when bundled. Everyone likes to feel like they are getting a deal. Towards the end of your sale when things start to slow down you can offer deeper discounts. We like to offer “everything in a bag for a buck or two” at the end of the sale to help get rid of the remaining items. Be creative and offer extra deals on slow moving items. Let your eager patrons pay for the chance to be the first to preview your inventory. Preview parties where patrons pay a small entry fee and pay 1 ½ – 2 times the marked price of all items have been a hit and always brings in more funds. This can be the night before or a few hours before opening to the general public. You need to get the word out about your sale through every possible communication channel. Make it a priority with your team to invite their friends, post on social media, post flyers and stake signs. Advertise with your local papers and community calendars. The more publicity you have for your event, the better your results will be. Consignment business is booming. Look into some of the many consignment options to pre-sell your higher end items. Determine what type of articles they are seeking then review your inventory of donations for those articles. 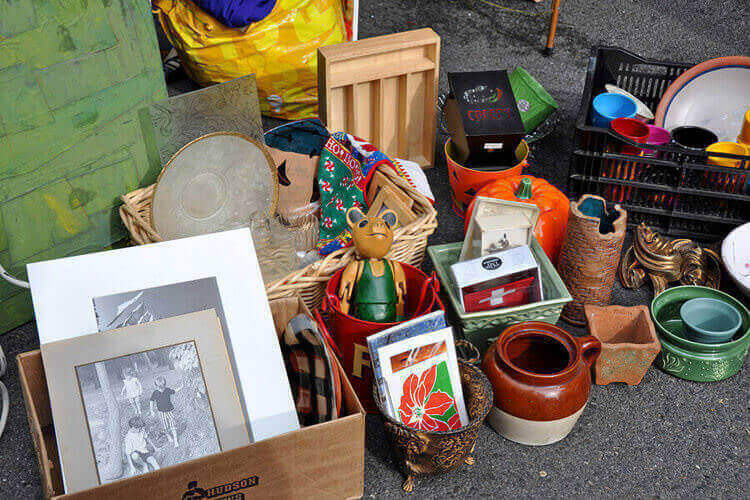 You may receive a lot more from a consignment shop than at your rummage sale. Some consignment groups may even come out and review your items for purchase while other online groups will send you a bag and pay for shipping to review your smaller items. Below is a list we compiled of a few companies we found that will buy, sell or consign gently used items. Some pay on the spot, some offer mail in options and most have several locations. Check them out to find one that may work for your group. Let us know of others that you have had good experience with. Rummage sales are a great way to engage your community, help them clean out their closets, declutter and re-purpose items. Employ some of these tried and true tips and you will not only be a big hit with your community but, you will also raise awareness about your organization’s cause as well as much needed funds. Remember, “One man’s junk is another man’s treasure” or in this case, another man’s fundraiser!